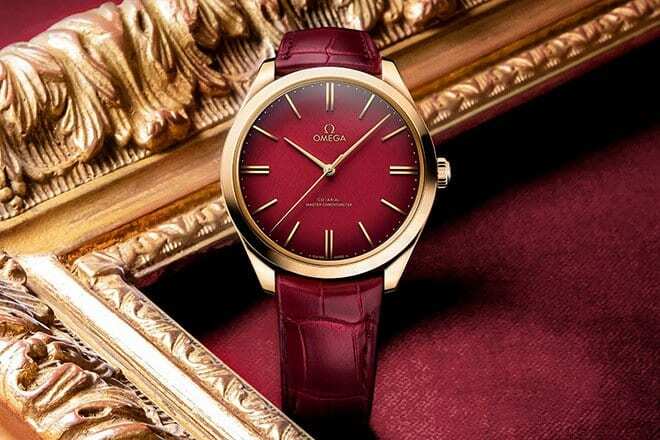 Watchmakers OMEGA are celebrating the 125th Anniversary of the brand’s famous name – and have launched two new creations to mark the occasion. 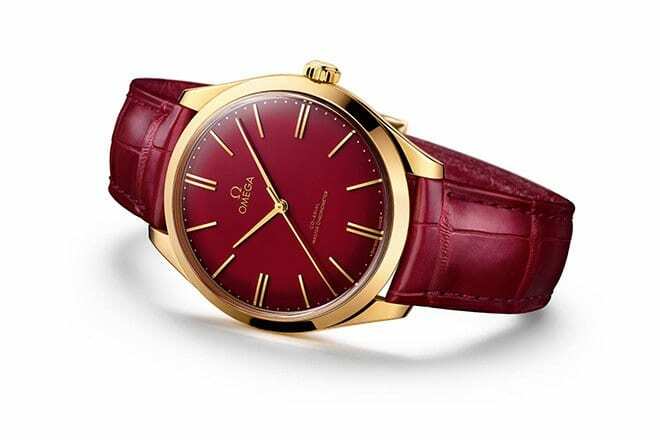 OMEGA have given the first glimpse of two new watchmaking creations to celebrate the 125th birthday of it famous name, including the De Ville Trésor 125th Anniversary Edition, pictured above and below – crafted from 18K yellow gold with a burgundy leather strap and a red enamel dial to match OMEGA’s iconic brand colour. Before it was called OMEGA, the company’s first workshop was opened in 1848 by the young watchmaker Louis Brandt. Almost 50 years later, in 1894, his two sons, Louis-Paul and César, invented a new movement that would change the industry forever. 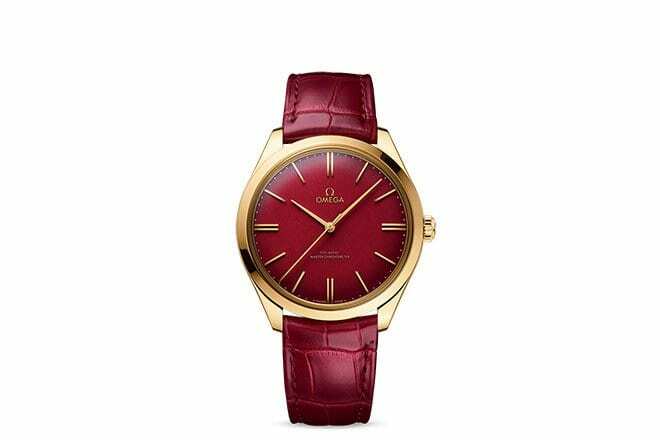 Their innovative 19-ligne calibre introduced pioneering mechanisms as well as industrial-scale production lines. 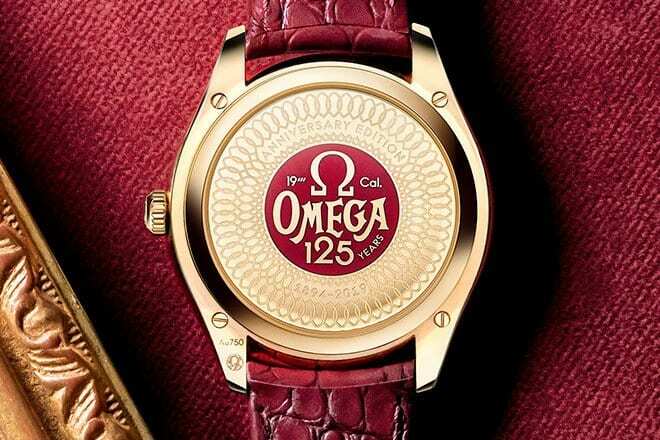 It was so advanced that the brothers named the movement “Omega” – symbolising ultimate accomplishment. Following that achievement, the entire company was renamed “OMEGA” in 1903.